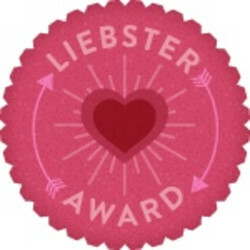 Thank you so much to Emilie at emiliethehackett for nominating me for my third or fourth Liebster Award (I can't really remember which.) I always find it so amazing that people actually read my ramblings and think of me when doing things like this, so thank you! 1. I don't have a middle name, but I actually wish I did. 2. I have the worst habit of biting my nails EVER! I have to keep them painted 24/7. 3. I have a brother four years younger than me. 4. I have a 2.1 high honours degree in Journalism from Sheffield Hallam University. 5. I have four tattoos and nine piercings. 6. I jot down everything I eat in a food diary on my iPhone. 7. MY guilty pleasure is bags! I have a little collection coming along at the minute. 8. I have two pet ducks, who I massively love! 9. I can't start the day without a cup of tea. Milky, two sugars. 10. I work at Matalan and I actually really like it. 11. I could count the number of my best/true friends on one hand, the way I like it. 1. If you could have a super power for the day, what super power would you want? It depends what you would class as a super power I guess... but even then I don't really know haha! 2. What do you prefer, early mornings or late nights? To be honest neither haha. I hate getting up early but I get tired so easily. If I had to pick one I guess it would definitely be late nights. I look up to my Mum, obviously, she's the main person. I actually look up quite a few people but it would take me far too long to explain everyone and the reasons why. 4. If you won the lottery, what's the first thing you'd buy? I'd buy a third Mulberry bag without a doubt. Or maybe a Vivienne Westwood or Louis Vuitton... either way it would be a designer bag of some sort. 5. What's the first thing you do when you wake up? Usually check my phone, or switch my alarm off. 6. What do you most enjoy blogging about? Beauty and make-up products are mainly what I love to write about, but I just like to review things or write about things I love. I wish I had the confidence to do more outfit posts though. 7. Can you/do you play an instrument? If not, what would you like to play? I can't and I don't play any instrument. I've never really had the want to learn, probably because I used to hate music lessons when I was at school. 8. What's your favourite make-up brand? I don't really think I have a favourite because I tend to jump from one to another so much. I can never find one thing I absolutely love. 9. If you could visit one last place for the day, where would you go? 11. Did you notice I missed out number 10? Real 11. What was the last thing you bought? A dress from Lashes Of London, but its too big :( I hate ordering things online because I never know whether to order a size six or eight! Girl problems! 2. Name one beauty product/male-up item that you would recommend - and why? 3. What advise would you give anyone thinking of starting a blog? 4. Which do you prefer, summer or winter? 5. What made you decide you wanted to start a blog? 6. What is the once piece of clothing/one accessory you can't live without? 7. Do you like to travel? Where is the best place you have been? 8. Do you keep a journal or diary? 10. Who/what is your favourite blog at the minute? Link so we can all be nosey! 11. Where is the one place you REALLY want to visit? Hi lovely! Only just seen this :) Thanks for the nomination!